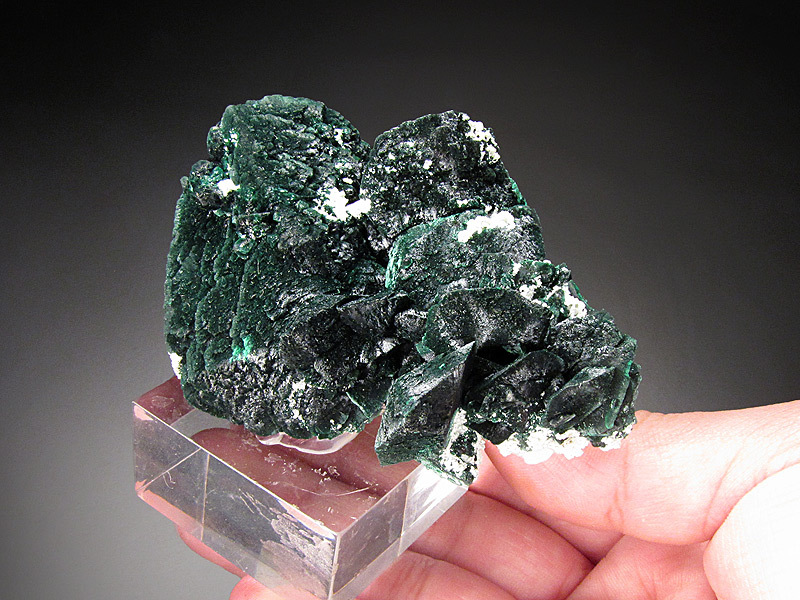 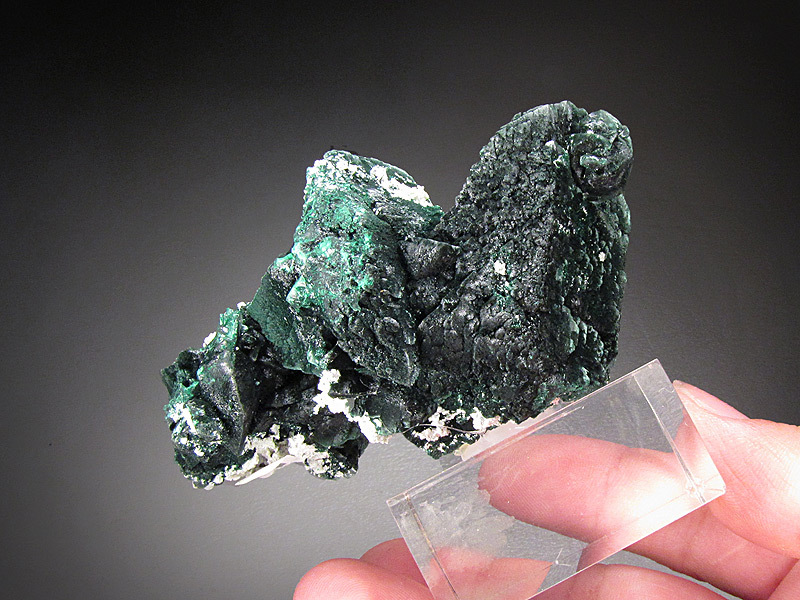 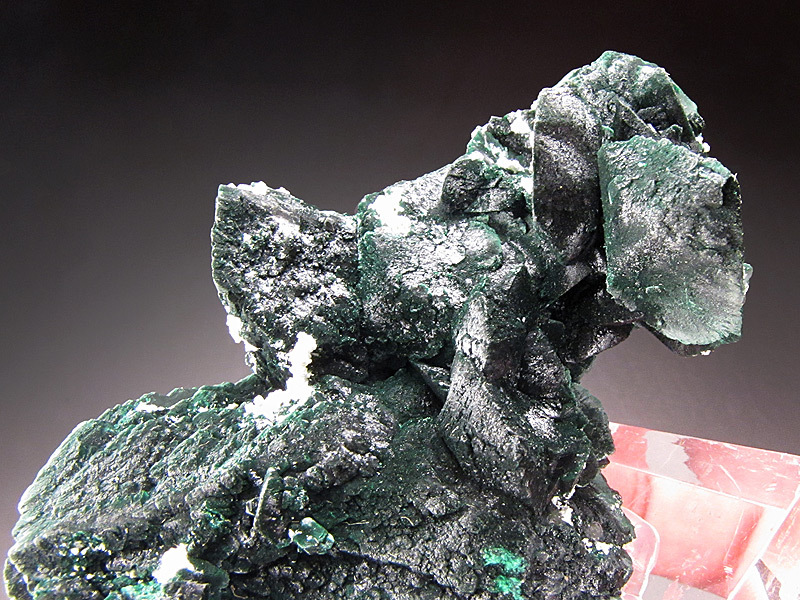 This is a velvet lustered, deep green malachite pseudomorph after an azurite crystal cluster. 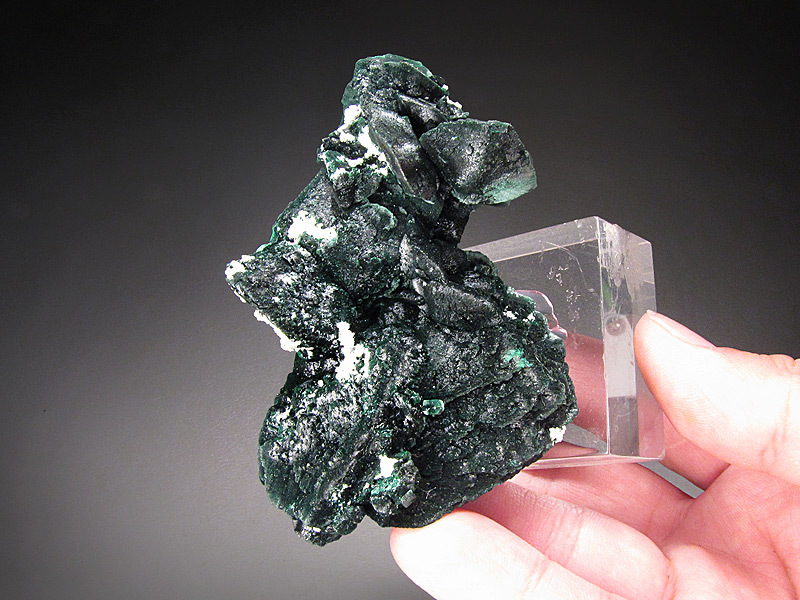 The overall dimensions are 7.9 cm wide by 4.5 cm tall and 5.0 cm front to back. 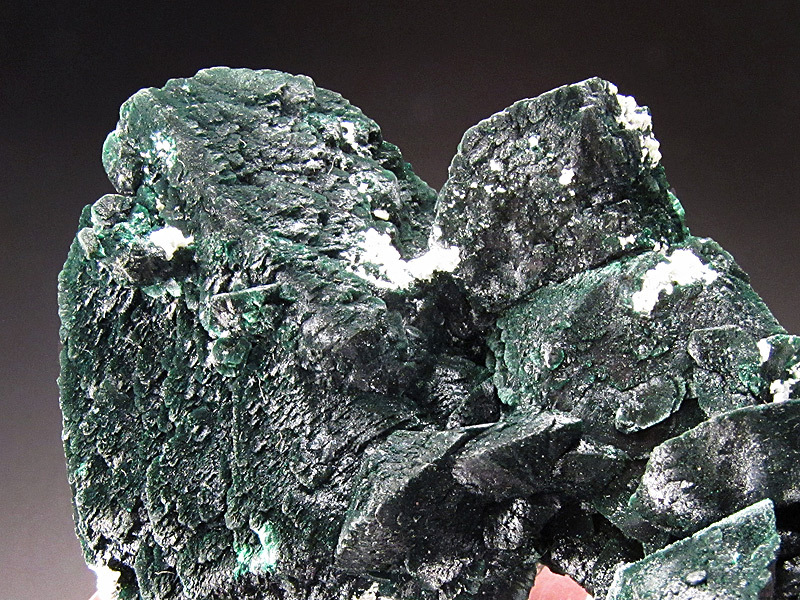 The locality for this piece is Milpillas Mine, Cuitata, Municipio de Cananea, Sonora, Mexico. 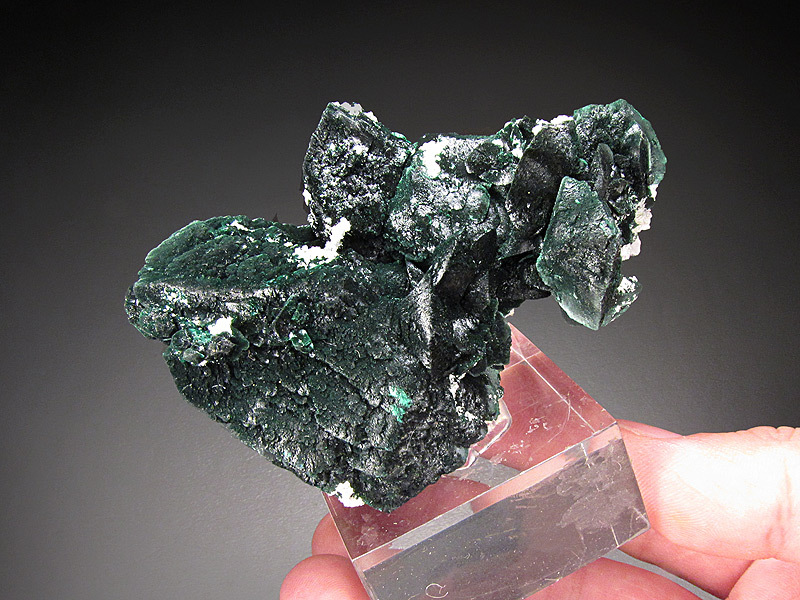 Damage appears to be limited to contact with matrix rocks and minor bruising on a few crystals.